Our fifth and final heroine is Sheila Macdonald, who, in 1927, became the first woman to reach the summit of Kilimanjaro. Sheila Macdonald was born in 1905, daughter of Alpine Club member Claude Macdonald. At the age of 12 she climbed in Scotland with her father, and later climbed in Switzerland as well as Mount Etna in Italy. At the age of 22 she went to East Africa with the intention of climbing Kilimanjaro. 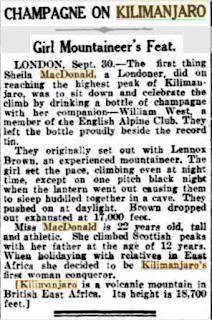 She stayed with relatives, then joined William C. West, also a member of the Alpine Club, and Major Lennox Browne, "a mountaineer of some experience" for the climb. 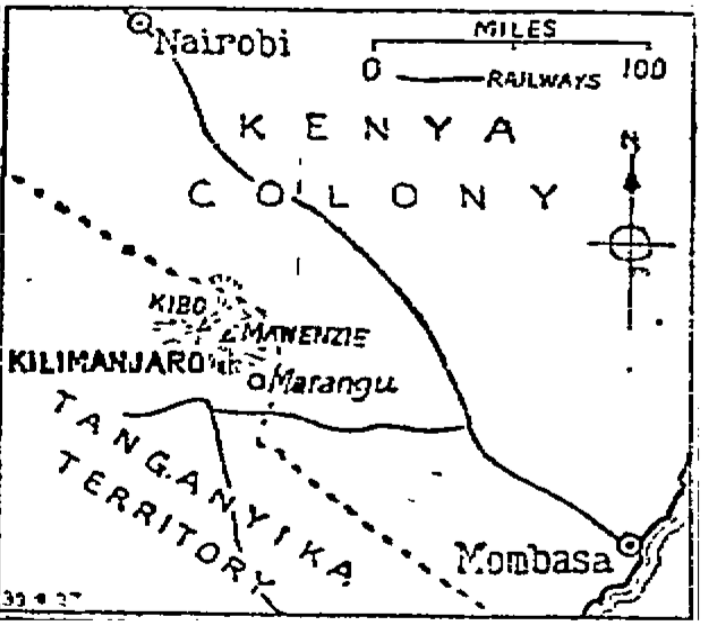 The party started out in Mombasa, driving to Marangu and then climbing from there through the forest to Bismarck Hut (near the current Mandara Huts, but I don't know if the building is still there). They then went to Pieters Hut the next day (Horombo Huts), and on the third day turned north toward Mawenzi and camped high up on the plateau. 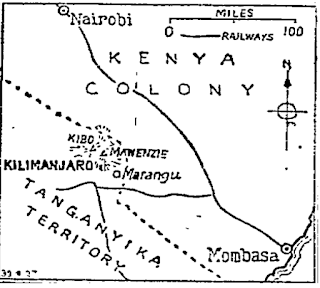 On the fourth day, they climbed to the summit of Mawenzi, the lower but more difficult of Kili's peaks. Once there they added their names to the records of the two 1912 expeditions to that summit, and "celebrated our arrival with good wine drunk out of enamel cups and left the bottle by the record tin" before returning to Pieter's Hut that evening. After a full day's rest, the party turned their attention to Kibo. They set out at noon and tried to find Hams Meyer's Cave, "but we had no guides, and the porters did not seem to know where it was, so we roamed around, and our intrepid lady companion found another cave which satisfied her womanly instincts for comfort." Yeah, that's how William West described the events to the Manchester Guardian newspaper. Another newspaper account stated that they sheltered on the ridge near the Hans Meyer Notch. At midnight, they set out for the summit, but their lantern went out and they could not re-light it. Because it was so dark they huddled together in a rock shelter to wait until sunrise so they could see their path. The following day, at 19,000 feet, Major Lennox dropped out, exhausted, but Sheila "pleaded to be allowed to finish the ascent", so she and West continued. … it was Miss Macdonald who set the pace when we started off again. It was a hard climb for a girl, but she stuck to it with wonderful grit, and eventually we reached the summit. They reached the crater via Johannes Notch, having followed the ridge from their shelter near Hans Meyer Notch. Then they followed the crater rim around past Stella Point and on to the actual summit about 2pm on July 31. They added their names to the record book, took some photographs – which, sadly, I haven't been able to find – and drank a bottle of champagne. "Only those who have done so can imagine how ludicrous one feels when trying to drink champagne out of a bottle at a height of over 19,000 feet." They went back to their cave to rest briefly, then descended to Pieters Hut "where we arrived about 10 p.m., after floundering rather badly in the darkness, for we had no lantern." Sheila's achievement was widely reported around the world as a "London girl's triumph". Though several men had by this time reached the summit, she was the first woman to do so. It was erroneously reported that she was the first woman to climb up to the snows, but obviously Gertrude Benham, Clary von Ruckteschell-True, Estalla Latham, and Eva Stuart-Watt had all beaten her to the powder. 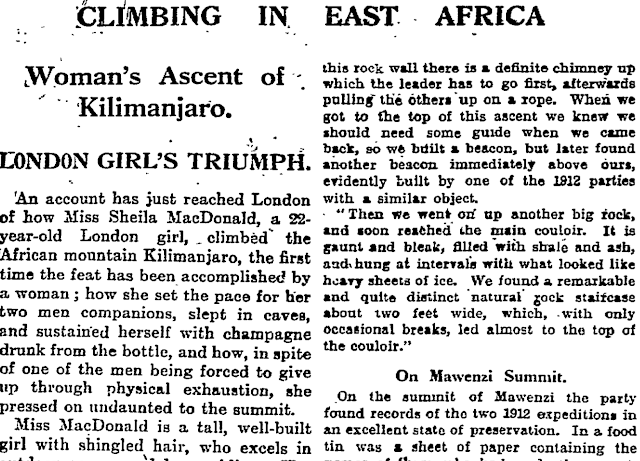 "Years afterwards – it was in 1927 – I saw a paragraph in 'The Times' to the effect that Kilimanjaro had been climbed for the first time by a woman." "And you did not contradict it?" "I was in the West Indies at the time, and the paper was some weeks old. I did not trouble to do so, but I understand that a friend of mine wrote and spoke of my ascent eighteen years earlier." 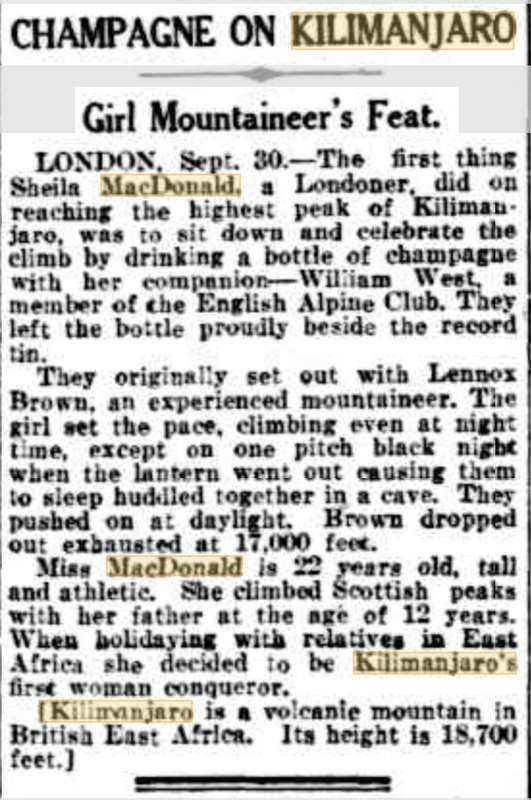 I can't help but wonder, had Gertrude Benham climbed with a European man, would her climb have been better reported? 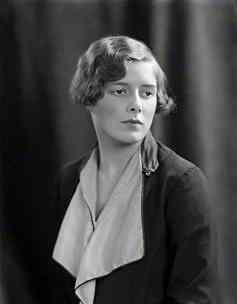 Sheila Macdonald eventually married Harold Percy Combe, a colonel in The Queen's Royal Regiment, some time before July 1931. After that I can't find any record of her. I hope she kept climbing. "CHAMPAGNE ON KILIMANJARO: Girl Mountaineer's Feat." The West Australian [Perth, Australia] 1 Oct 1927: 13. Trove Digitised Newspapers. Web. 3 April 2017. "CLIMBING IN EAST AFRICA: Woman's Ascent of Kilimanjaro. LONDON GIRL'S TRIUMPH." The Manchester Guardian [Manchester, England] 30 Sep 1927: 14. ProQuest Historical Newspapers: The Guardian and the Observer. "KILIMANJARO. MISS MACDONALD'S FEAT." The Sydney Morning Herald [Sydney, NSW, Australia] 22 October 1927: 13. Trove Digitised Newspapers. Web. 3 April 2017. "MT. KILIMANJARO. First British Ascent. AUSTRALIAN LADY TAKES PART." The Sydney Morning Herald [Sydney, NSW, Australia] 27 September 1927: 11. Trove Digitised Newspapers. Web. 3 April 2017. "Points from Letters." Times [London, England] 13 June 1931: 8. The Times Digital Archive. Web. 10 Mar. 2017.